How often do you think about why customers click on your Facebook ads, open your newsletters or hang out on your website–sometimes even adding a product or two to their carts–only to abandon it and never return? Here’s some more data to consider. I conducted the below survey (with 1,000+ responses from women 35-45 via Google Surveys) for a project I’m working on. The response options are very specific due to the parameters and design of said project, but the results still offer some useful insight. Here are the results and how you can reconsider your copywriting goals in relation to them. The question: What is the top reason that holds you back from buying a skincare product? 1. The products I want are too expensive. This doesn’t mean you should lower your price. (Unless of course you consult a financial expert and they think you should.) In fact, high prices can psychologically imply your product is better. 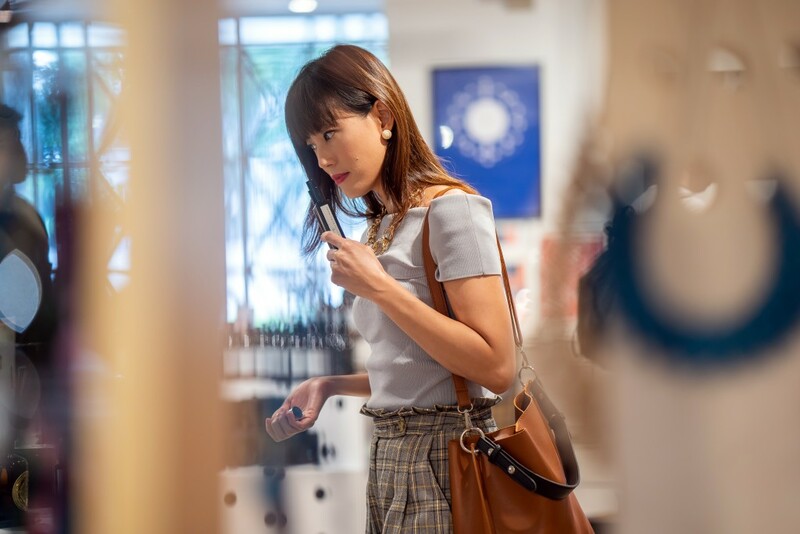 But if you find your customers are balking at your $100 moisturizer, chances are you aren’t alluring them well enough by justifying the price tag. Is your copy relieving your customers’ sticker shock? Are you properly conveying why your product is worth their investment? Consider Vintner’s Daughter’s $185 Active Botanical Serum. They do an amazing job explaining the painstaking and expert wine-making-inspired process they go through to yield the most active and concentrated serum ever, so people buy it because it’s so effective they don’t need to invest in other skincare products. If copy is stellar and you still aren’t selling, perhaps you aren’t differentiating yourself enough. Is your brand relaying exactly why its one of a kind and superior to your competitors? What makes customers feel fulfilled and excited–even before getting their hands on your products? 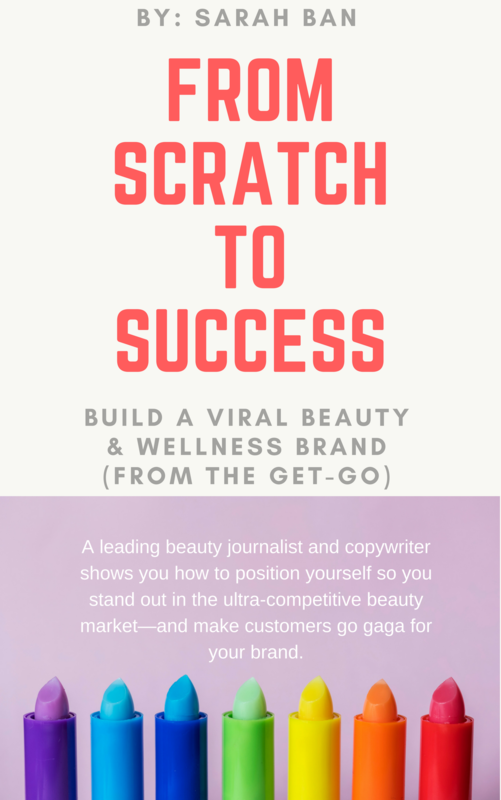 (If you have a hunch you’re blending in with all other skincare brands, check out my workbook, From Scratch to Success: Build a Viral Beauty Brand (From the Get-Go). On that note, double-check your target customer avatar. Is this person someone who would even buy a product at your price point? Make sure you reconsider if this isn’t the case. 2. There are too many product options. This response shouldn’t surprise you. With the skincare industry booming at exponential rates, it’s more important than ever to stand out and entice your customers so they gravitate toward you as they wade through the sea of skincare brands competing for their attention. If you aren’t doing this, check out my workbook. 3. Not sure what my routine should look like. Customers are realizing that there are multiple needs with multiple solutions (e.g. dry AND oily skin with both anti-aging and acne concerns), but it’s more confusing than ever to find a skincare routine that works in ideal tandem with their budget and of course, their unique physiological skin profile. Blogging can help explain in more detail how your products are built for their skin; in what phase of their skincare routine your products will work; and how your products mesh with other products they’re already using. If you don’t explain this, who will? 4. I’m not sure which ingredients to look for. Believe it or not, ingredients can be a vital and foundational element to your branding process. Customers seek out both popular tried-and-true ingredients but also new ones that are scientifically and anecdotally backed. It’s not just about what benefits your ingredients deliver. It’s about how they’re delivering differently and more efficiently. Does your skincare product or line feature certain “unsung heroes” or ingredients that set you apart from your competitors? If you incorporate well-known ingredients, like aloe vera or jojoba oil, are they harvested or sourced in a unique way that makes them perform more effectively? Consider educating your clients on your ingredients or even using them as a way to differentiate your brand. 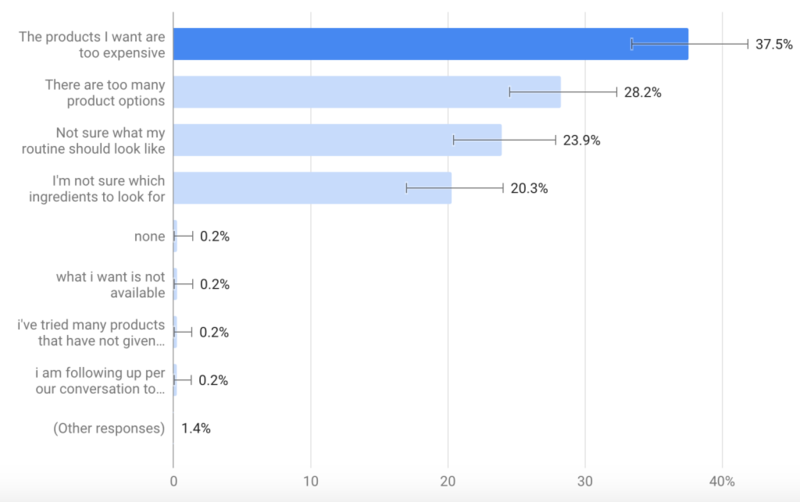 Consider the top four results of my survey and reevaluate your copy and brand messaging to ensure you’re doing all you can to make your products irresistible. You’ll discover something new, I promise!